Feel the wide-angle universe in mirroless camera! 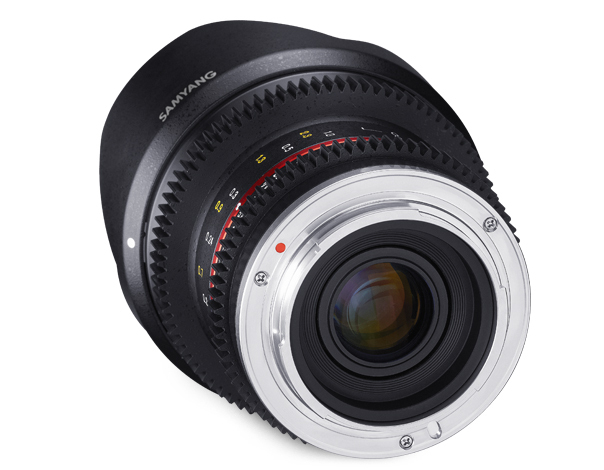 Samyang 12mm T2.2 Cine NCS CS lens is a wide-angle mirrorless video lens designed for APS-C crop sensors. T-number representing actual amount of light transmission is marked on the lens to assist much accurate shooting. Distinguishing focus ring gear is suitable for follow focus system, and uncoupled aperture ring controls aperture quietly during shooting for precise operation. 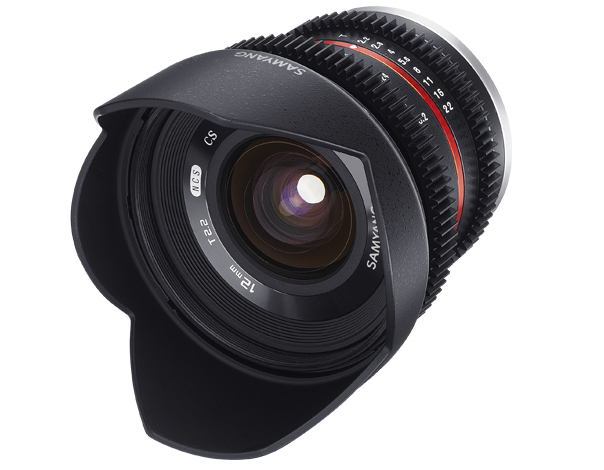 Samyang 12mm T2.2 Cine NCS CS lens is operated under manual aperture system with low T-number which enables natural shooting under various light exposure circumstances. For the first time in Samyang Optics history, Nano Coating System(NCS) is used to provide the best quality image with low reflection rate. 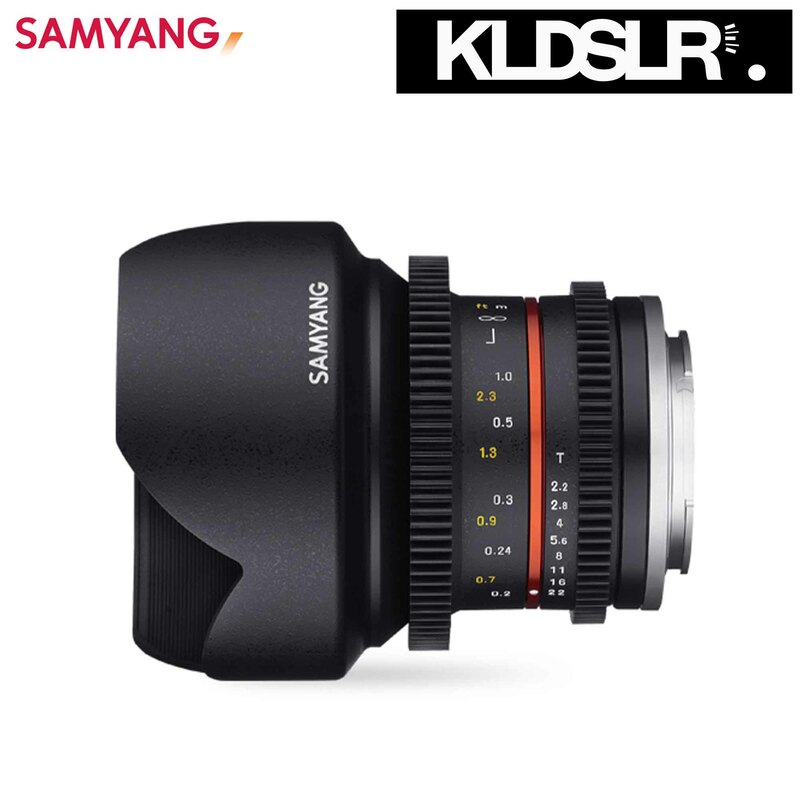 Samyang lens shows an exceptional optical performance especially in light transmission. 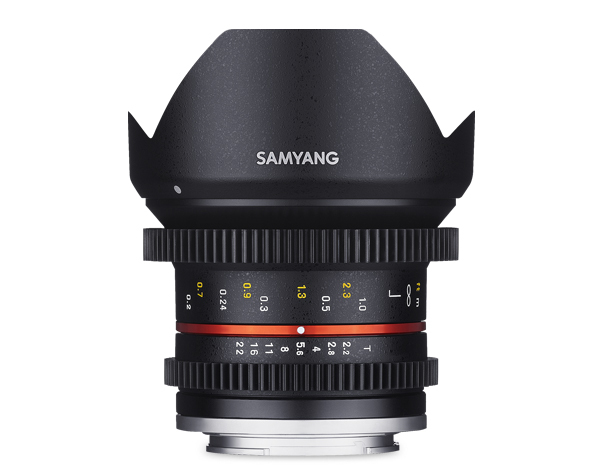 Optical construction of Samyang 12mm T2.2 Cine NCS CS lens features 12 lenses in 10 groups – among lenses, there are 1 hybrid aspherical lens(H-ASP), 1 glass aspherical lens(AS) and 3 low-dispersion glass lenses(ED) capturing high quality image. H-ASP revises the color aberration to realize exceptional image quality and contrast throughout center to corner of image when aperture is fully opened. ED lowers color aberration effectively by minimizing the unnecessary light dispersion. With such optical construction, 0.2m of the minimum focusing distance is provided. There are 6 aperture blades designed to be almost as a full circle when aperture is closed which expresses starlike ray clearly and beautifully. 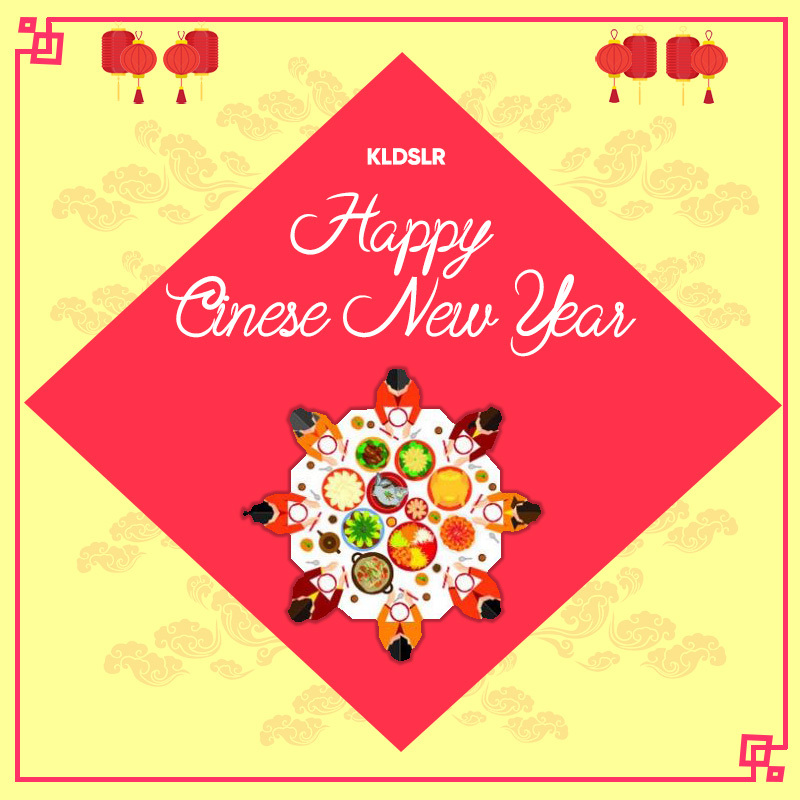 The frame of the lens is compact and solid since it is made of high-strength aluminum alloy. Trustworthy images can be captured even under inferior environment. 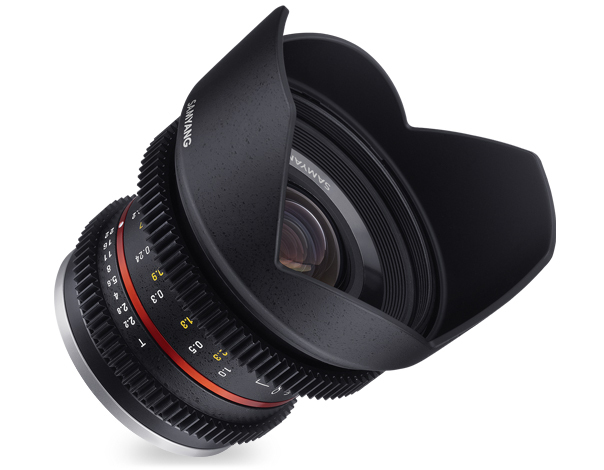 Also, detachable petal-shaped lens hood minimizes flare and ghost by sheltering lens from unnecessary lights.